How to start using GPSWOX software? Look at our list of supported GPS trackers here, and find out if your device is supported by GPSWOX software, if not please contact us. If you do not have GPS tracker, you can purchase one from our online shop. Also your Android / iPhone / Windows mobile can be transformed into GPS tracker with Mobile GPS Tracker application. 3. Configure your GPS tracker to send data GPSWOX servers. 5. After some minutes your GPS tracker will appear on the GPSWOX software map. All GPS trackers, must be configured before start tracking them online. Look at full list of GPSWOX supported GPS trackers here, and find out if you device is there, if not please contact us. 5. Your GPS Tracker is ready to send data! How to learn using GPSOWOX software? Just watch user manual or read documentation and start tracking with ease! What can I track with GPSWOX server? You can track literally everything: vehicle, person, pet, mobile, bike, boat, cargo etc. Where can I check all software features? All features shortly described here, But you can also use demo or watch user manual. Does GPSWOX software works in all countries? Yes, GPSWOX software works in all countries. For the best software performance we have allocated GPS servers and data centers across all regions.Therefore, we have over 60k happy users all around the world. Yes, software is translated into 20+ languages. Does GPSWOX software supports any GPS tracker? 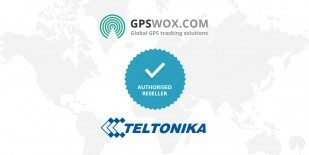 GPSWOX software supports most GPS trackers’ brands, see full list. If your tracker is not listed, please contact us, and we will make it compatible with the software. Does GPSWOX software supports sensors? Yes, GPSWOX tracking software supports vide range accessories and sensors: drivers identification, camera, microphone, battery sensor, ACC ON/OFF, door ON/OFF, engine ON/OFF, fuel tank sensor, GSM sensor, odometer sensor, satellites sensor, tachometer, temperature sensors etc. What is the differences between free and paid plans? Mainly tracking plans differ by the number of objects you can track and features. You can compare all plans here. You can pay with PayPal, Visa, Master Card or make International bank transfer. Yes, you can cancel or upgrade subscription at any time. How can I upgrade my tracking plan (subscription)? Just go to software product page, order a new tracking plan and the old subscription will be canceled automatically. Sometimes to activate a new plan, you need to sign out and sign in to your tracking account again. What mobile tracking apps I can download for Free? GPSWOX offers full range of Free tracking apps for personal use and business - full list of cell phone apps. Watch short video manual here. Which app is best for tracking my family? Family Locator app or Cell phone tracker would be the best choice. Is GPSWOX software suitable for any type of business and industry? Yes, GPSWOX platform is universal and full of powerful features. You can track literally everything: car, van, truck, person, cell phone, pet, bike, boat, cargo etc. I want to start GPS tracking business, which software solution to choose? Monthly - White label Software (we host and you pay monthly fee), check here. Lifetime - White label Software (you host and there is one-time fee), check here. I want to track my vehicles fleet and employees, which software solution to choose? Pay monthly depending on the number of objects you track (1-50), check here. Pay monthly depending on the number of objects you track (1-1000), check here. Buy lifetime license and track unlimited number of objects (1-unlimited), check here. 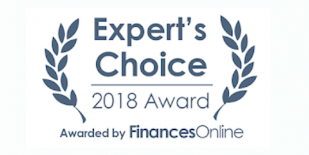 What are top benefits of Monthly – White label Software (we host)? This software solution is perfect for companies with limited budget. You will pay monthly fee, depending on the number of objects you track, starting from only 99/month. What are top benefits of Lifetime – White label software (you host)? This software solution is suitable for all companies, which would like to save money on a long term. Since you can buy lifetime software license and run it on your own server, without monthly fees. Full support with installation and setup processes. I would like to test your software before the purchase, is it possible? Do I need technical skills to star using GPS tracking server? No. Our engineers will setup and run GPS tracking software for you. How long takes branded GPS tracking software delivery? GPS Tracking Software will be installed, customized, after we receive payment in 1-2 working days. Additional training and branding changes will be implemented afterwards. How long takes branded mobile apps delivery? Android app branding usually takes 1-2 business days. After the app is branded, you will receive APK file, which you will upload to Google Play and it will be published live immediately. iOS app branding and publishing usually takes from 2-7 business days, since Apple reviews all new apps and sometimes it takes up to 1 week. Submission to App Store is done by our developers. What cell phone tracking apps I can choose for business? GPSWOX offers full range of Free tracking apps for business. Full list of mobile apps here. All these apps can be branded for you with your name, logo etc. If I purchase white label software now, can I order apps later? Yes, you can order branded apps and other extra options later. Can I charge my customers for services? Yes. Charge your customers for services, connect PayPal, Visa, Mastercard etc. Will I get access to software’s API? Yes, you will be able to create third-party applications using our simple API. Will I get access to the software’s source code? Yes, you will get access to front end PHP files. But only if you purchase Lifetime white label software. Can I modify software and add custom features? What are server requirements if I want to host on my own server? Is your cloud servers powerful and secure? For the best performance, we have allocated servers across all regions. GPS server 99.99% uptime guarantee. What is corporate website setup process? What CMS do you use for corporate website? We implement WordPress, so you can easily make modifications. Do you have any marketing material to share? Yes, you will get banners, flayers and video manual for Free.